We push you to be your very best self and to exceed expectations, every day. Together, we work hard, come up with our best ideas, and have fun. Penske Motor Group, LLC (“PMG”) is the parent company and/or shared services entity of five automotive dealerships located in California and North Texas. Together, we have almost 1,300 team members. The reason why our employees have such a long tenure and we have such a high Glassdoor rating is because PMG takes care of our team members – we treat everyone like family. Helping you maintain a healthier you! We provide our Team Members and their qualified family members with premium healthcare coverage at an affordable price. We all win when you are healthy. We offer on-site gyms and classes or discounts at local gyms, complimentary flu shots, and presentations on various health-related topics, such as heart disease or healthy eating. Look for our logo at a local race or a triathlon because we frequently sponsor teams to promote team building and wellness. We also offer a significant “Wellness Credit” to offset monthly healthcare premiums for participating team members. We want you comfortable when you are ready to retire by providing a 401(k) company match for participating team members. Additionally, we partner with Wells Fargo Retirement Services to help educate you on retirement plans that will fit your long term needs. We’re more than just a paycheck. Whether it be assistance with medical expenses, dependent care, or shopping for a new laptop, we’ve got you covered. 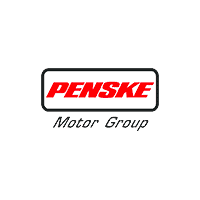 Penske Motor Group is part of the “Penske” family of companies that own or operate a diversified, international portfolio of automotive businesses ranging from automotive sales, logistics, truck rental, truck leasing, racing, performance parts, lighting and more. Regardless of the business unit, all Penske companies are focused on providing amazing experiences to those we serve.